Support for mounts supporting axis counterweight (to mount of Germany), for astronomical photography or other applications, good for hardware tools and accessories fillet with standard photographic 1 / 4 of inches. 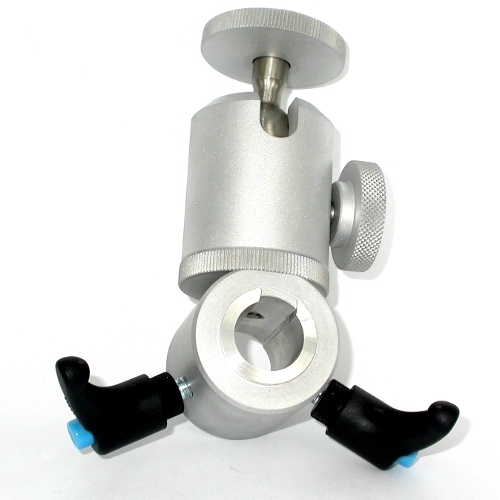 This support for every direction allows to apply cameras, video cameras, telescopes, objectives, CCD and other tools and accessories with the standard photographic thread. The Piggy back to equatorial hype with a counterweight (deutsche) , is hooked on auctions counterweight. Indispensable shooting in a large field, away from stopper / dimensions of the telescope. Useful if you photographs with wide and very big great angle type photos as meteorites on large areas of sky. 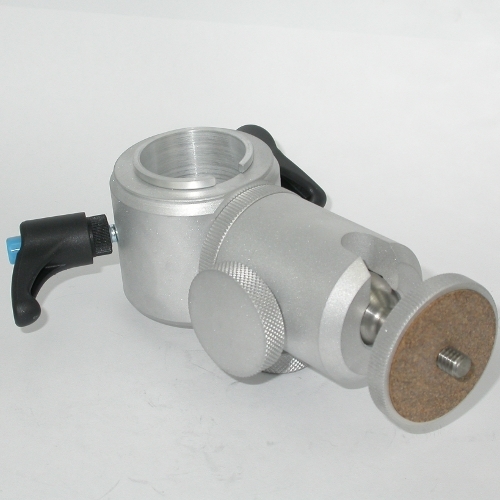 The support is realized and sold for different diameters. The graft must be chosed from minimun 12 to max 50 mm. Note: you must ndicate diametr of auction counterweight from 12 to 50 mm. 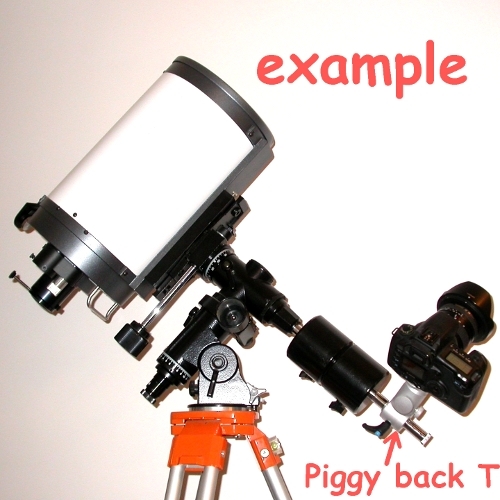 The telescope can be used as telescope guide. 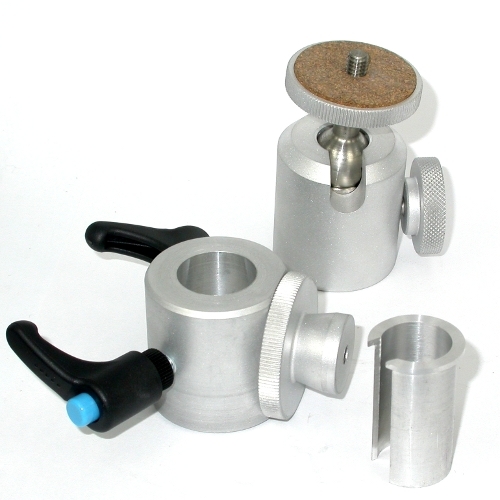 The tightening grip of piggy back , and allow to be applied on different frames diameter bar, a minimum diameter 12 mm to a maximum diameter 50 mm., so we'll send you the exact product.The support has 2 parts: base and head. The base can be lost on the auction of mount. For fothos of large field you can use it like scope guide. SEE OUR FILM FOR UNDERSTANDING BETTER THE OPERATING. Maximum Load applicable 15 Kg.